Some characters we know are coming can be seen in the screens below. Chopper, Foodfight, Whallop and SnapShot join the Skylanders ranks while old baddie favorite Chompy Master looks to be one of the enemies that can be turned to the forces of good. 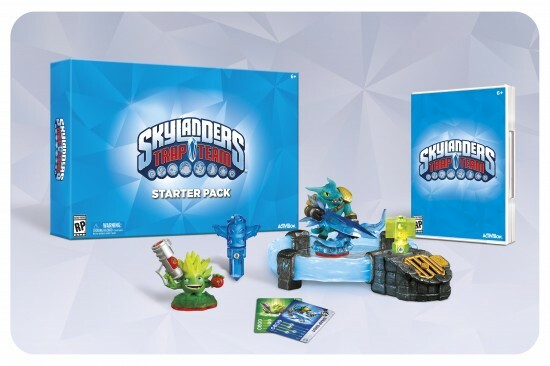 Check out the trailer below as well as the photo gallery of screens and pics of the latest Skylanders Trap Team which is due out in October 5th for the XBox One, XBox 360, PlayStation 4, Playstation 3, Wii U and Nintendo 3DS.